When did I first realize that the cannabis boom had officially crossed over into the mainstream? Perhaps it was when my (historically pot-adverse) mother first asked me about CBD last year, or maybe when cult-fave cannabidiol brand Lord Jones landed on the shelves of Sephora. But, to me, nothing has confirmed the staying power of this particular trend than the sudden onset of weed-themed beauty and wellness products—even scented candles and fragrances—many of which don't contain any trace of CBD (and certainly not the psychoactive component of THC). This is Weed, the brand. As a beauty editor, it's hard not to draw parallels to the natural beauty movement that took off just a few years ago. 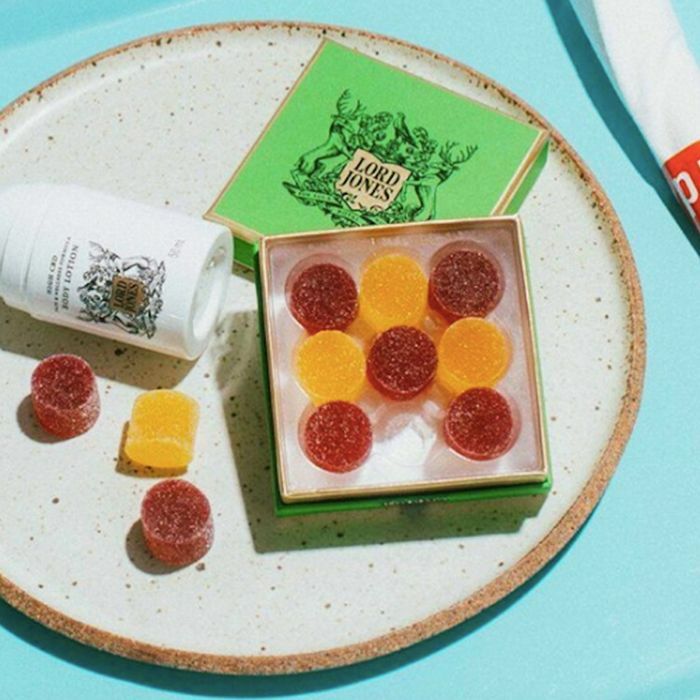 As with the current fledgling cannabis movement, the huge increase in demand for plant-based sustainable beauty led to a boon of slick new brands clamoring for attention. Thanks to loopholes in regulation, many of these brands relied on "greenwashing" to get a piece of the pie—that is, using certain marketing strategies to make their product seem more plant-driven or sustainable than it actually is. (To put a finer point on it, the term "natural" isn't regulated at all in the realm of cosmetics.) And something very similar is happening in the weed market now. The passage of the 2018 Farm Bill in December of last year legalized hemp production in the United States, effectively giving CBD production and distribution the green light in all 50 states. That means this already outsized trend is set to hit astronomical new levels, and it's not exactly surprising that prescient brands want to cash in on the hype in a roundabout way. 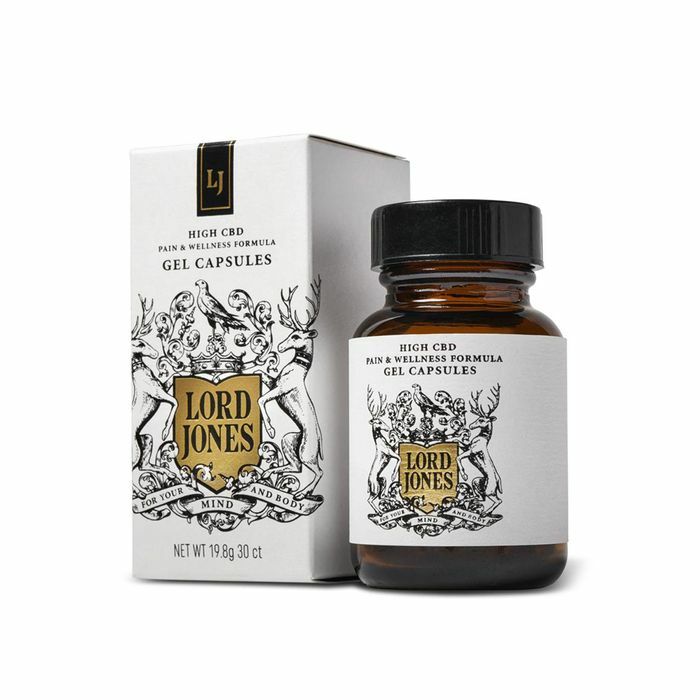 In the midst of explosive industry growth, Lord Jones co-founder Cindy Capobianco views "weedwashing"—indicating a product contains cannabis when it doesn't—as reprehensible but somewhat inevitable until regulations finally catch up with the market. "Because of the hard work, risks, and sacrifices of many, more and more consumers have access to cannabis products that contain CBD, THC, and other cannabinoids that we know have a multitude of benefits," she says. "Unfortunately, we also see a number of brands cynically cashing in on a trend, misleading consumers by labeling their products as 'cannabis' and even making false claims that their products contain CBD when they contain none." "It is a huge issue," adds Guy Rocourt, co-founder and chief products officer of cannabis brand Papa & Barkley. "Ultimately consumers are going to pay the price because they are going to buy these placebo products, have a bad experience, and as a result, be reluctant to buy other products." Now for the good news: Both Rocourt and Capobianco emphasize that it isn't hard to know if you're buying a quality product so long as you're armed with the right knowledge. Keep reading to learn how to spot weedwashing right off the bat. 1. Be wary of packaging. Much like beauty industry's heavy-handed use of unregulated terms like "all-natural," many would-be cannabis brands rely on misleading packaging and language to capitalize on industry trend. This insinuation (and in some cases, says Capobianco, outright mislabeling) is often enough to convince consumers to buy a product that doesn't even contain CBD to begin with. It's a gray area to be sure. I certainly can see the argument both ways; that it's a tired (and probably misleading) move to borrow terms from stoner culture to move a beauty product that has a completely different set of benefits, and that it's also shrewd marketing. Either way, it pays to be skeptical until you get a closer look at the ingredient label, at least until the government catches up. "Eventually, all of this will be regulated, and rules will be established to protect consumers," says Capobianco. But in the meantime, "Consumers need to be informed and beware of beauty companies' misleading messages." 2. Know the difference between CBD and cannabis seed oil. Because they come from the same plant, CBD is often marketed in oil form, so it's understandable why we might get the two confused. But it comes down to simple plant anatomy: Cannabis seed oil, also known as hemp seed oil, is found in the seeds of the cannabis sativa plant. Research suggests it carries its own array of benefits (a high dose of heart-healthy omegas, for example), but it does not contain CBD. CBD, short for cannabidiol, is found in the leaves, stem, and stalk of the cannabis plant. "It's one of over 100 active compounds (or cannabinoids) found exclusively in the cannabis plant," explains Capobianco. "CBD acts as an analgesic and anti-inflammatory that reduces pain and inflammation." Research also shows that CBD can also support a better mood and help with mild relief from anxiety. 3. If you're shopping for a CBD product, know what dosage you're getting. Any savvy consumer should abide by the rule that if it seems too good to be true, it probably is—especially when it comes to products that support general well-being. That said, if you've done the research and vetted your CBD product, you're also the best judge if it's the right one for you. If you're not feeling any of the purported effects, then consider adjusting the dosage or trying something different altogether. In an ideal world, we wouldn't have to rely on this mix of consumer vigilance and trial and error, but it's also the nature of an industry that is still in the early stages of adolescence. "We are in the midst of a revolution as cannabis is legalized and normalized," says Capobianco. "And revolutions are often messy." Still curious? Get your crash course in CBD products here.